In weightlifting, hitching refers to a stop in acceleration and a reacceleration. As the bar is being pulled off the ground it should continue to accelerate through the power position. Any stop in motion will effect the final speed of the lift. Often in beginner lifters, the weight that can be snatched/cleaned/jerked is not accurately expressed because of limitations in technical ability. They are often able to lift the bar at much greater speeds than necessary to complete the lift. It then becomes a common tendency for them to lift the bar off the ground with maximum speed (often not focused on position) and their lift must be decelerated to control the finish. 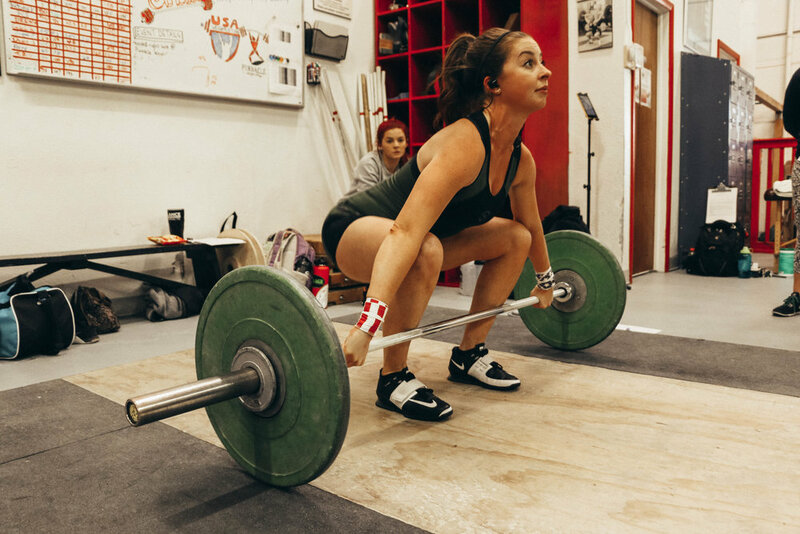 Other common reasons for hitching in weightlifting include emphasis on speed off the floor instead of position, hips rising too quickly (thus pulling the lifter forward so the "hitch" becomes necessary to return the lifter to a balanced position), and for a feeling of control. *These can and should be done from different positions, but they are generally the most effective set just below where the hitch takes place.